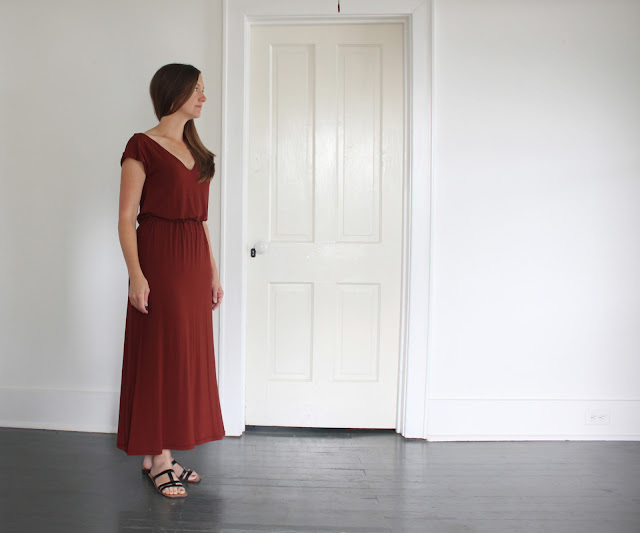 The original plan for this fabric was some very straight forward #simplesummersewing. 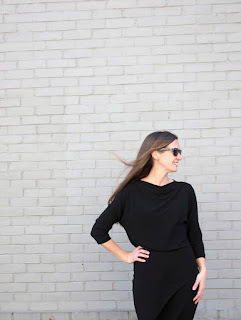 My plan was to make a Lou Box Top lengthened into a dress a la Sewbon. I wanted rayon challis, but couldn’t find a solid color I liked, so I got this bamboo rayon jersey in a cinnamon brown that I loved. When it arrived it was clear it would not be at all flattering in an unstructured shape. Based on Helen's lovely version, I realized the Sallie Jumpsuit/Dress from Closet Case Files has exactly the neckline and sleeve I was going for, so I transferred my Cinnamon Box Dress dreams onto a Cinnamon Sallie. My relationship with Sallie was a little fraught at the beginning. 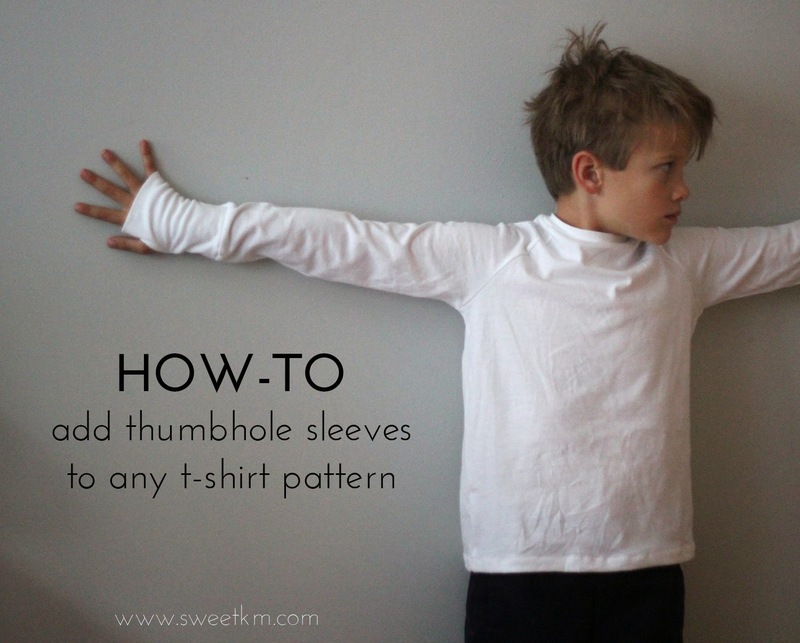 Seems so simple and straight forward, a classic simple summer sew, it’s only got 3 pattern pieces for crying out loud! But rayon jersey (no matter how lovely), and a very tight time frame just don’t mix. The Sallie has a few variations, I went with the dress version with the kimono sleeve v-neck bodice. I eliminated the included pockets because I was in a rush, and wanted to keep things simple. I was also running perilously short on fabric, and couldn’t have squeezed them in any way. I shortened the length of the dress, based on what I could fit on the fabric. I eliminated the skirt side slits because it wasn’t the look I’m going for, and there is plenty of width for walking. When I realized this dress bodice is fully lined the cursing began, and it didn’t stop until I put the last stitch in the hem. I considered altering the construction of the top to eliminate the lining, and allow me to sew this entirely on the serger, but I think the drape of the bodice would have been compromised, and I’m sure it would have ruined the clean lines of the neck and sleeve opening with the double needle hemming. 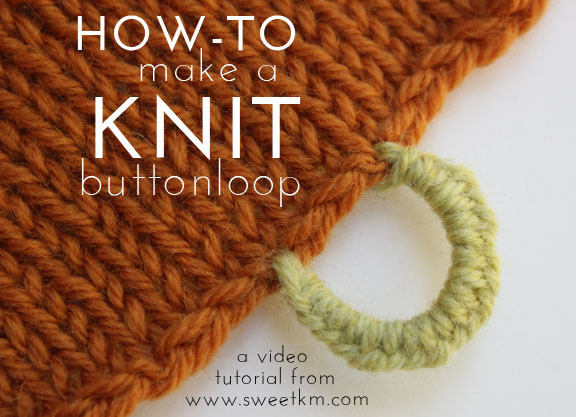 After the fact I found this great tutorial for a knit binding, that I would consider for next time. In the end I muddled through, trying to take full advantage of the little time I had, and not think about the week away I wasn’t packing for. I shudder to think of the shoddy workmanship concealed between the layers of this bodice. It’s not my first trip on the $#%*! rayon jersey train, I should have known better. I should sew a label in that says “hand wash only” lest the washing machine tear it apart at the poorly constructed seams. After trying serging (not enough control to sew the side, and sleeve seams as specified, and zig-zagging (too bulky for the limp fabric), I finally sewed all the seams straight! Surely, future me will remember to be careful when I pull it on and off. 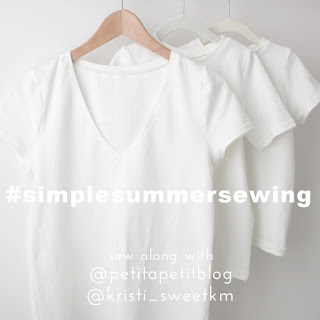 Are you sewing along with Simple Summer Sewing? 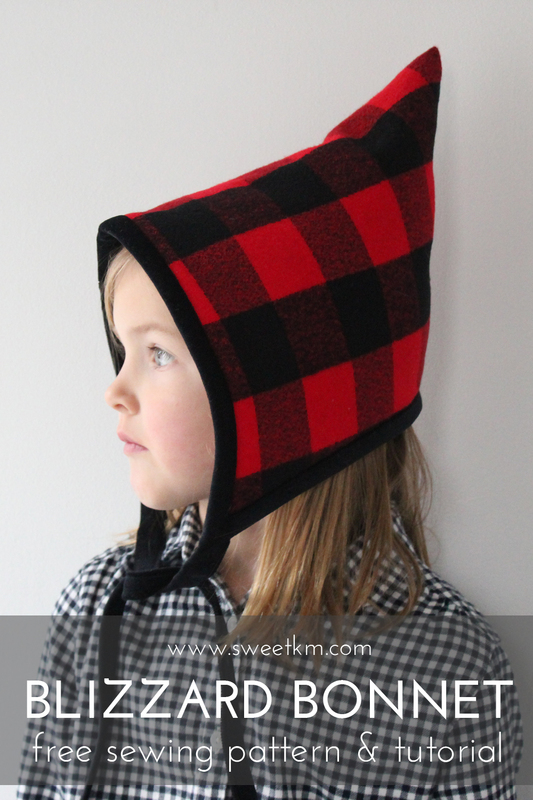 You can catch up on the details (plus the July giveaway) on Petit a Petit + Family. Check out my simple women's sewing pattern suggestions, and see what other people are making on Instagram! This fraught project turned out so beautiful, though! The drape, the shape, the color... totally worth it. Your earrings are pretty awesome, too! Thanks Meg! I almost gave up half way, so glad I finished. The earrings are from Bario Neal. I love everything they make! The colour is sooo pretty. I know how you feel about those projects you end up wrestling with beginning to end and take no pride in the workmanship of the final thing. I hope the seams hold out enough to wear it some more! I love the color too. I didn't anticipate loving the dress so much after making a mess of the construction. The fit is really nice, and the lining was totally worth it for the smooth drape of the bodice. I should know better than to rush! It's really pretty and looks lovely on you. 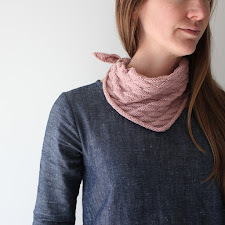 I have actually been eyeing this pattern for a cut of rayon jersey in my stash. Striped rayon jersey. Maybe I should reconsider. Gorgeous colour on you. Her dodgy seams remain discreetly hidden inside - out of sight, out of mind!